Pulmonary embolism (PE) is a potentially fatal disorder with highly varying mortality rates. To offer info that is more accurate for prospective intervention research studies, we evaluated the data of our patients with PE, specifying scientifically appropriate subgroups with regard to their specific death rates. We studied 283 consecutive patients with confirmed blood clots in lung diagnosis, with respect to demographic data, risk factors for thromboembolic disease and medical signs. In addition, diagnostic and restorative interventions such as blood gas analysis (BGA), lactate and D-dimer determination, electrocardiography (ECG), echocardiography, spiral computer tomography (Spiral CT), ventilation/perfusion lung scintigraphy (V/Q-Scan), thrombolytic therapy, mechanical ventilation, and cardiopulmonary resuscitation (CPR), were represented. Study endpoint was death rates on day three. 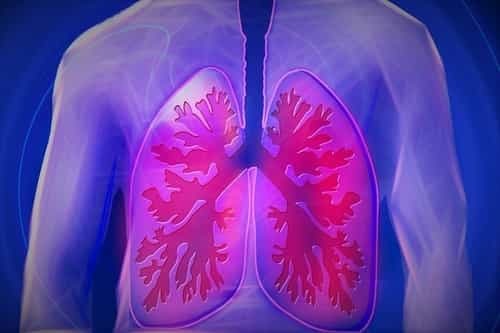 What Is a Blood Clot in Lungs Survival Rate? The research for survival rate for blood clots in lungs has following statistical data: in general, mortality rate was 15% (42 of 283). Death rates differed substantially; 95% of patients with cardiac arrest on arrival (21 of 22), 85% of patients with cardiac arrest — not in healthcare facility (28 of 33), 80% of patients getting mechanical ventilation (40 of 50), 77% of patients requiring cardiopulmonary resuscitation within the first 24 hours (37 of 48), 37% of patients with syncope (18 of 49), 30% of patients receiving thrombolytic treatment (25 of 87), 26% of patients on whom lactate measurement was performed (36 of 139), 18% of patients on whom blood gas analysis was done (35 of 197), 17% of patients on whom echocardiography was carried out (34 of 195), 8% of patients with twelve complete lead ECG recordings (21 of 262) and D-Dimer decision (12 of 148), 2% of patients checked on Spiral CT (5 of 226) and 1% where a V/Q-Scan was carried out (1 of 74). Patients with PE who received mechanical ventilation, cardiopulmonary resuscitation, and thrombolytic treatment had really high death rates of 80, 77 and 30% respectively. Nevertheless, patients stable enough for diagnostic procedures as Spiral CTs and V/Q-Scans had mortality rates of 1 to 2%. These facts are to be thought about when planning pulmonary embolism intervention trials in which reduction of mortality is a specified endpoint.